Trans-Boundary Deposits, Oil and Gas Companies, Cross-Border Marine Fields, Unitization Agreements, Legal Regulation, Interaction Mechanism. The development of cross-border marine oil and gas fields is currently one of the most pressing problems of countries that possess hydrocarbon resources on the shelf. According to the International Energy Agency (IEA), 60% of oil and gas producing countries have deposits that either cross international borders or lie in disputed areas. The geopolitical and ecological uncertainty arising from the development of such deposits does not stimulate oil and gas companies to actively finance such projects. As a result, large territories are left out of development and industrial exploitation. For instance, "Liza-1" deposit cannot be developed due to the dispute over the sovereignty between Venezuela and Guyana (UK-Norway. Trans-Boundary Oil & Gas Fields Guidelines). In this regard, the elaboration of mechanisms for interaction between governments and oil and gas companies in the development of offshore oil and gas fields is a research task of current interest. However, this should be preceded by an analysis of the current situation in the world and, in particular, in the Russian Federation, in this research area. Prior studies were devoted to the interaction of foreign companies in the development of offshore oil and gas fields and their results initiated a new research task (Cherepovitsyn & Chanysheva, 2016). In this paper, the analysis of the main worldwide used models of interaction of state bodies, national and foreign oil and gas companies interested in the development of trans-boundary oil and gas fields is carried out. The current study is aimed at systematization of practical experience of foreign countries and oil and gas companies in the field of development of trans-boundary deposits and could be used for improving the legal framework of the Russian Federation in this area. The subject of study is the main existing forms and mechanisms of interaction among the key stakeholders-public authorities of two or more countries-owners of the deposit and oil and gas companies in developing cross-border marine oil and gas fields. 4. Find out whether the mentioned mechanisms of interaction were used or are used in the world practice for the development of trans-boundary oil and gas fields. The research was carried out on the basis of an empirical approach to the study of the problem. It starts from investigating the mechanisms of international cooperation in the field of development of trans-boundary deposits. Then it proceeds with the analysis of the existing mechanisms of interaction between the state bodies and the subsoil users. Finally, the paper gives an overview of world practice of joint development of trans-boundary oil and gas fields. The basic scientific method used in the research is the analysis of world experience in the field of the development of cross-border oil and gas fields, legal documents of different countries including the Russian Federation and the research works of both Russian and foreign scientists which formed the theoretical basis of this study. The study does not aim to provide exhaustive information on the issue under study, which would be a difficult task. It is focused at studying the most significant examples of joint development of trans-boundary deposits globally and the systematization of such experience. The legal basis of the study is formed by analyzing international agreements and guidelines in the field of cross-border oil and gas fields’ development, namely “Agreement between the Government of the Russian Federation and the Government of the Republic of Kazakhstan on joint activities in geological study and exploration of the Imashevskoye trans-boundary gas condensate field” (2010), “UK-Norway. Trans-boundary oil and gas fields guidelines for development of trans-boundary oil and gas fields”, “Treaty between the Russian Federation and the Kingdom of Norway on the delimitation of maritime areas and cooperation in the Barents Sea and the Arctic Ocean” (2010) and the Russian Federal Laws (#115-FZ, #225-FZ, #187-FZ). The problems of the development of trans-boundary oil and gas fields are discussed in the series of works of Russian and foreign researchers, such as Boyarko, Zolotenkov, Auty, Canales, Auty, Carayannis, Smirnova, Danilova, Ilinova, Ivleva, Talipov, Weems, Howell, Shpilkin, Razavi and others. The analysis of key forms of interaction between the state bodies and oil and gas companies is carried out based on the researches of foreign scientists (Al-Emadi, 2010; Bindemann, 1999; Ernest, 2013; Knight, 2013). The study used information available in free access. The presence of trans-boundary oil and gas fields requires careful development of regulatory documents from the states’ governments. In order to solve the problem of developing trans-boundary deposits, various legal documents regulating the joint development of trans-boundary oil and gas fields were prepared and introduced by the governments of various countries. The evolution of relations between the countries started from concluding delimitation agreements establishing the maritime borders, further cooperation developed in the form of agreements on the joint development of hydrocarbon resources and more recently-the so-called framework agreements on trans-boundary deposits appeared (Auty et al., 2016, UK-Norway. Trans-Boundary Oil and Gas Fields Guidelines). Currently, there are several basic principles used in the world for legal regulation of relations between states concerning the use of trans-boundary mineral resources, which can be applied in agreements related to joint development of deposits. One of them is the "resource deposit clause", which is used quite rarely due to high legal risks. It requires cooperation of states in case the deposit crosses the existing state border and the resources of at least one block of the deposit can be extracted from the neighboring state territory. The second principle of cooperation between states is called "unitization of deposits" and requires cooperation between license holders or concessionaires in the case when the deposit will be developed according to a single plan in one territory. Other principles of legal regulation are "common management zones", "revenue sharing", " management cooperation" and "mutual restraint". The last but not least is the principle of concluding model agreements on "joint development", which is usually used to regulate relations over exploration and production of offshore hydrocarbon resources located in joint control zones of two states or crossing state borders. This agreement can be concluded before the final establishment of the maritime border between states. Subsequent delimitation can be carried out considering the existing agreement that can change the demarcation line in order to preserve the integrity of the already concluded concession agreements (Janusz-Pawletta, 2015). Today, there are more than twenty types of bilateral agreements between the governments that have an international maritime border in the forms of Unitization Agreements and the Joint Development Agreements (JDA). These agreements form the basis for the joint development of an oil or gas field located on the territory of two or more countries. For instance, several agreements were concluded for the development of the Frigg and Statfjord fields located on the Norwegian-British border in the North Sea and the Bayu-Undan deposit located within the United Petroleum Development Zone, established by the governments of Australia and Indonesia in the Timor Sea (Weems & Howell, 2016). 5. Agreement between the Government of the Russian Federation and the Government of the Republic of Kazakhstan on joint activities for geological study and exploration of the Imashevskoye Trans-boundary Gas Condensate Field (Agreement between the Government of the Russian Federation and the Government of the Republic of Kazakhstan, 2010). The cooperation between states in the form of unitization agreement becomes more and more popular now-a-days. The analysis of the world experience in the field of unitization is presented in (Cherepovitsyn et al., 2016; Ilinova & Cherepovitsyn, 2016). The mechanism of the agreement organization is presented in Figure 1. 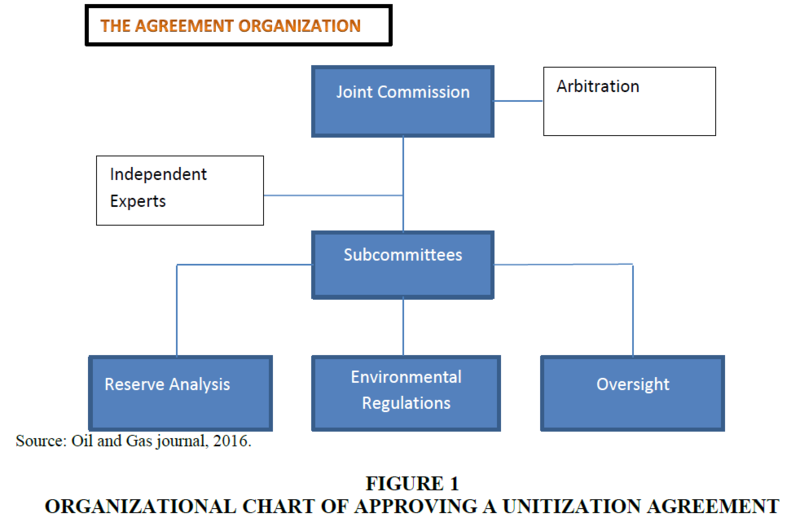 Figure 1.Organizational Chart Of Approving A Unitization Agreement. Existing intergovernmental agreements helped in developing an approach based on the best world practice, according to which it is necessary to create a Joint Commission consisting of high-ranking officials of the states’ governments to supervise the development of trans-boundary fields and make decisions on such issues as the approval of Unitization Agreements. These commissions are often too far from managing day-to-day activities or reviewing technical issues and require prepared qualified solutions for joint field development issues and subcommittee recommendations. Subcommittees can be established on an interim basis and cover a wide range of issues, such as geophysical analysis, regulatory rules and operational control. To ensure good governance, subcommittees should include technical experts from interested governments and independent experts. Disputes over technical issues, such as the presence of trans-boundary hydrocarbon field, its length and resources distribution over the territories of states, are usually solved by independent experts, often having the authority to make final decisions. Resolution of disagreements between governments on non-technical issues can be carried out in a judicial manner. The development of offshore oil and gas fields is characterized by high-tech work. In the case of the Arctic shelf, the development of deposits is also complicated by climatic conditions-low temperature, glaciation and strong winds making such investment projects costly (Cherepovitsyn & Chanysheva, 2016). In this regard, the participation of foreign oil and gas and service companies in the development of domestic offshore fields is almost inevitable. 2. Production sharing agreement (PSA). The analysis of the literature carried out within this research work made it possible to systematize the differences between the main types of agreements concluded between foreign companies and the owners of hydrocarbon reserves for the development of oil and gas fields, including trans-boundary deposits. As a result of analytical work the following table was formed showing the key criteria which can help distinguish such agreements (Table 1). Note: *-the tax is not paid upon the agreement providing for the sharing of manufactured goods in accordance with clause 2 of Article 8 of the Federal Law “On Production Sharing Agreements”. A concession agreement is an agreement between a company and a government that gives the company the right to manage a particular business within the jurisdiction of the government, subject to certain conditions and for a certain period of time. Concession agreements are also agreements between the owners of the facility and concessionaires who grant the latter exclusive rights to operate a specified business in the facility under specified conditions (Concession Agreement). Concession agreements are used to develop both continental and offshore oil and gas fields if they are located in the shelf zones. A tender is held among the oil and gas companies for the right to conclude a concession agreement. The mechanism of interaction between the state and the oil and gas company within the framework of the concession agreement is quite simple. The oil and Gas Company or the association of companies, acquires a license for a concession for the exploration of a certain block. Then the company pays to the local state a compensation payment for each unit of produced goods. The size of this payment depends on the world price per unit of output at the time of signing the concession, as well as on the quantity and quality of oil and gas estimated at the exploration stage. Typically, this concession fee per barrel or barrel of oil equivalent (BOE) is fixed for the duration of the concession. This means that the state will receive this payment regardless of the capital costs, profits and losses of the operator. All costs and risks, as well as the profit remaining after the payment of the concession fee, belong to the company operator of the deposit (Concession). Since the price of a barrel of oil has not only increased since the conclusion of the first concession agreements, which has made them unprofitable for the states in which the oil and gas fields are located, but also fluctuated depending on many factors, concessions have become less common form of regulating the relations between states’ governments and oil and gas companies. For example, concession agreements on the basis of tenders were the main mechanism for granting the right to use subsoil in Brazil until 2010 (Danilova, 2016). However, according to the Brazilian law adopted in 2010 a gradual transition from concession agreements to PSA for strategic oil and gas fields is currently under way. According to Article 3 of the Federal Law of the Russian Federation No. 115-FZ "On Concession Agreements" under the concession agreement one party (the concessionaire) undertakes at its own expense to create and (or) reconstruct the property specified by this agreement (the object of the concession agreement), carry out activities using the object of the concession agreement. The ownership of the property belongs to or will belong to the other party (concessor), the concessor is obliged to provide the concessionaire for the period established by this agreement the right to own and use the object of the concession agreement for the activities specified (Federal Law #115-FZ "On Concession Agreements", 2015). However, concession agreements in mining or oil and gas production in the Russian Federation are not used due to the fact that this federal law does not cover the field of nature management. According to Article 4 of this law, subsoil blocks are not included in the list of objects of the concession agreement fixed by the legislator (Danilova, 2016). Analysis of the literature showed that concession agreements as a legal basis for joint development of trans-boundary oil and gas fields are not used. However, existing concession agreements on the development of a specific block of the field may influence the way of cooperation between states and oil and gas companies in the event a trans-boundary deposit is discovered. In addition, in order to jointly develop a field crossing the established state borders, the concessionaire, along with the license carrier for the development of an adjacent block of the THR, may enter into a unitization agreement. Recently, PSAs have become the most widespread in the world practice. The PSA is one of the most common types of contracts for the development of oil and gas fields. According to the PSA, the state-owner of mineral resources attracts a foreign oil company as a contractor engaged in exploration and development of the field. The government, ministries, a national agency or a national oil company can act on behalf of the state. A foreign oil company is entitled to a share of the produced oil as a reward for the risks incurred and services provided for exploration and commissioning of the field. The state remains the owner of its share of the output and receives payments from the foreign oil company in the form of taxes and royalty (Bindemann, 1999; Knight, 2013). Indonesia was the first country to apply production sharing agreements as a common tool for giving foreign companies the opportunity to develop local oil fields. The first PSA was signed in 1960. Today, PSAs are used in more than 60 countries around the world. The first PSA, signed by the Government of the Russian Federation, became an agreement with the operating company "Sakhalin Energy", signed in 1994 (Production sharing agreement). According to the federal law of the Russian Federation No. 225-FZ, the PSA is a contract whereby the Russian Federation grants the investor on a reimbursable basis and for a certain period exclusive rights for prospecting, exploration, mining of minerals in the subsoil area, specified in the agreement and for conducting related work and the investor undertakes to carry out the said work at his own expense and at his own risk. The agreement defines all the necessary conditions related to the use of subsoil, including the terms and procedure of distribution of products between the parties of the agreement. The parties of the agreement are the Russian Federation, on behalf of which the Government of the Russian Federation or its authorized bodies act and investors-legal entities and associations of legal entities established on the basis of a joint activity agreement without forming legal entity. PSA can be concluded with the winner of a tender held in accordance with legislation of the Russian Federation. (Federal Law # 225-FZ "On Production Sharing Agreements", 2016). The right to use subsoil blocks on the terms of the PSA is provided only if other forms of geological exploration and mining of minerals stipulated by the legislation of the Russian Federation are impossible. Confirmation of the absence of such an opportunity is a failed tender for using the subsoil blocks on terms different from PSA because of the lack of participants (Federal Law # 225-FZ "On Production Sharing Agreements", 2016). PSA’s are poorly developed in Russia. To date, PSA operators produce only 3.2 percent of total oil production and 3.6 percent of total gas production in Russia. PSA projects in Russia play a much more modest role than in the resource-rich CIS countries, for example, in Kazakhstan and most of the far-abroad countries, where the production sharing regime is applied. The procedure for granting subsoil use rights on the Russian continental shelf on the terms of the PSA excludes the possibility of its use, since it requires impossible or mutually exclusive conditions (Danilova, 2016; Federal Law #187-FZ "On the Continental Shelf of the Russian Federation", 1995). Analysis of the literature leads to a conclusion that the production sharing agreements as a legal basis for regulating the development of trans-boundary oil and gas fields are usually not used because of their specificity. However, in the world practice there are examples of concluding production sharing agreements with the aim of developing trans-boundary oil and gas fields between a joint organization established by two states and foreign oil companies. A joint venture is a strategic union of two or more organizations unrelated to each other, with the prospect of achieving a common goal (Al-Emadi, 2010). Joint ventures are primarily seen as a mechanism for allocating risks and, consequently, reducing the risk of each participant in a joint venture. Joint ventures in the oil and gas industry can exist until the oil and gas fields are depleted, which can last long enough. Three different structures are mentioned in the world literature, within which a joint venture can be created: Corporate, partner and contractual joint venture. The main characteristic of the joint venture is that the relations, the common interests of the parties and the goals are fixed in the contract. When defining a joint venture, there are basic distinctive features, but there are also a number of less significant variables specific to each industry. Thus, the characteristics of a joint venture in the oil and gas industry may be unique in order to fully reflect the relations between its participants (Al-Emadi, 2010). A joint venture for the extraction of minerals and oil is an association of individuals and legal entities to participate in a common product creation project that will be used by the participants. The management of the enterprise is divided: Certain activities must be performed by the entity (operator or manager) appointed as an agent. The right to make decisions on certain issues belongs to the committee in which all joint venture participants are represented and entitled to vote in accordance with their shares in this enterprise. Relations between the parties are both contractual and based on the ownership: The terms of the joint venture are established by an agreement and the property used in the enterprise belongs to the participants as tenants. 3. The participants of the joint venture should have the opportunity to participate equally in the management and control of the enterprise. 3. Partnership (full and limited). Important incentives for creating a joint venture in the Russian Federation for foreign oil and gas companies are insufficient knowledge of the national economy and Russian legislation, the ability to distribute risks through joint venture. The exchange of organizational, managerial and technological experience, mutual use of the marketing and service infrastructure of partners are of particular importance. Another positive point is that the foreign investor is protected from tightening of the national legislation regulating the regime of investments during a specific period (Ivleva & Talipov, 2013). Analysis of Russian legislation in the field of development of hydrocarbon resources, carried out in (Boyarko & Zolotenkov, 2015), leads to a conclusion that in order to develop a trans-boundary field whose blocks belong to independent subsoil users, it is necessary to create a joint venture with the formation of a legal entity. Service contract- a contract for the provision of services. Two different types of service contracts are mentioned in the literature in the field of oil and gas production. They are known as "risk service contracts" and "pure service contracts", but there are no clear boundaries between them. In both cases, the foreign oil company agrees to provide services, know-how and materials for the development of the field. The difference between them, according to some researchers, is the type and method of remuneration. As part of a risk service contract, a foreign oil company will be rewarded only in the case of industrial production. In a pure service contract a national oil company enters into contract with a foreign company to perform specified services for a fixed fee. Some pure service contracts provide for the remuneration of the contractor in the form of a certain amount of hydrocarbon resources. Risk service contracts have been specially developed for the development of oil fields. The general concept of such contracts is that the oil company agrees to explore a specific territory and assess its oil potential. Obligations for the performance of work are usually detailed in the contract, as done, for example, in accordance with modern concessions. However, the company does not acquire property rights for oil reserves. Throughout the initial period of research the company invests only its own money without any expectation of rewards until industrial production is launched. Thus, the company bears all financial risks without any rights in the investigated territory. As soon as commercial production commences, the company has the right for remuneration of the expenses and additional compensation for the risks beared while exploring the field. The way and amount of compensation are fixed by a specific service contract and can vary greatly. The remuneration of a foreign oil company can be in value or in kind. The costs of the operator will not be reimbursed if the exploration will not result in commercial production (Ernest, 2013). Service contracts are similar to PSAs in the sense that the remuneration of a foreign company depends on the production. However, service contracts differ from the PSA in that a foreign company does not have control over the development of a field or property rights that it would have in the case of a PSA (Al-Emadi, 2010). Service contracts, as a rule, are more complementary to other oil and gas contracts than independent ones. Prospecting and exploration of oil and gas fields are usually associated with a wide range of interrelated activities (drilling, maintenance, installation of basic facilities, etc. ), to which service organizations are involved. In this connection, service contracts are generally not used as the main contract regulating the relations between the state-owner of the field and the foreign oil company (Al-Emadi, 2010). In particular, when developing a trans-boundary field on the basis of a unitization agreement, the operator company has the right to enter into service contracts to perform certain types of work. A service contract in the Russian Federation is a contract between two private entities: An oil company-subsoil user-and a contractor for carrying out works related to the use of subsoil resources, but not a contract of the state with a private entity (contractor). Service companies in the Russian Federation with the participation of a foreign investor include: “LUKOIL-Bureniye” (100% stake has Eurasia Drilling Company Ltd), “PetroAlliance” (26% stake has Schlumberger) and others (Ivleva & Talipov, 2013). 3. Difference in the objectives of the development of trans-boundary deposits. However, the framework agreements greatly facilitate the work on establishing cooperation between states and subsoil users in the event of the discovery of a trans-boundary hydrocarbon deposit. An example of a unitization agreement is the Association of International Petroleum Negotiators (AIPN) Model Unit Agreement, issued in 2006 by AIPN. It is intended for wide application in the unitization of THR and includes alternative provisions on many issues of unitization, allowing the parties to choose the best option for each particular case. In addition, the agreement contains a number of optional provisions that can be adopted by the parties if necessary. These alternative and optional provisions provide the parties with some flexibility in negotiating unitization based on the "AIPN Model Unit Agreement" (Weems & Howell, 2016). &NBSP; Thailand, Malaysia Cakerawala, Bumi, Bulan with a joint venture Malaysia-Thailand Joint Authority Memorandum of Understanding (MOU) between the two Governments on the establishment of a Joint Authority for the exploration and exploitation of the resources of the seabed (1979). Contracts in the form of a PSA with a joint venture. Table 2 shows a number of examples of joint development of cross-border oil and gas fields in different parts of the world, as well as cooperation agreements between governments (Cherepovitsyn et al., 2016; Ilinova & Cherepovitsyn, 2016; Agreement between the Government of the Russian Federation and the Government of the Republic of Kazakhstan, 2010; Shared natural resources, 2009; Razavi, 1997; Carayannis et al., 2017). Thus, the analysis of world practice shows that the most common forms of interaction between the states bodies of different countries are the unitization and framework agreements. The subsoil users participate in the development of trans-boundary oil and gas fields most commonly on the basis of joint ventures. The conducted researches made it possible to identify the basic principles of interaction between the parties involved in the development of THR influencing the conclusion of interstate agreements and treaties. In turn, such agreements create the basis for the joint development of an oil or gas field located on the territory of two or more countries. The most common mechanism for cooperation between the countries-owners of the deposits is currently unitization and framework agreements. The former relate to the development of a particular hydrocarbon field that crosses state borders, while the latter involve joint activities of the governments of neighboring countries in the exploration and development of potential fields. In the world practice there is no single document regulating the extraction of trans-boundary hydrocarbon resources, due to the significant difference in the geological, climatic and economic conditions of field development in each specific case. Trans-boundary deposits of hydrocarbon resources are mostly concentrated in the shelf zones and are difficult to recover. This determines the objective need for participation of foreign oil and gas companies in the development of such fields. The main forms of participation of foreign companies are concession agreements, production sharing agreements, joint ventures and service contracts. At present, the most common form of cooperation between oil and gas companies in the world is the creation of joint ventures. At the same time, in order to conduct a particular type of development work, third-party service organizations are involved, relations with which are regulated by service contracts. Concession agreements are concluded if there are hydrocarbon reserves in the territory of one country, onshore or offshore and may influence the conclusion of delimitation agreements between states’ governments if a trans-boundary field is discovered. In addition, owners of concessions, along with holders of licenses for developing blocks of fields, may enter into a unitization agreement. Production sharing agreements as a legal basis for regulating the development of trans-boundary oil and gas fields are generally not used, but there are examples of such agreements between a joint organization of the two countries with an authority to conclude a PSA and foreign oil companies. The main differences in forms of interaction between states and subsoil users in the development of marine trans-boundary oil and gas deposits are presented in the article. In the Russian Federation, concession agreements are not used and production sharing agreements are very poorly used. In the field of development of trans-boundary deposits, agreements are currently in force with the governments of Norway on the delineation of maritime areas and cooperation in the Barents Sea and the Arctic Ocean due to the potential availability of joint hydrocarbon reserves and Kazakhstan on joint activities in geological study and exploration of the Imashevskoye trans-boundary gas condensate field. The results of the study contribute to the formation of the theoretical basis for the development of mechanisms for interaction between state bodies and oil and gas companies in the Russian Federation, both national and foreign, in the development of marine trans-boundary hydrocarbon resources. Moreover, it gives an overview of the main forms of interaction used between the key stakeholders in cross-border oil and gas deposits’ development worldwide. Such experience can be used by domestic companies and governmental structures as well as the groups of independent researchers in further works in this area. The study was carried out with the financial support of the Russian Foundation for Basic Research (RFBR), the project "Mechanisms of cross-border cooperation between Russia and Norway in the development of hydrocarbon resources on the Arctic shelf" No. 15-27-24002. Al-Emadi, T. (2010). Joint Venture Contracts (JVCs) among the current negotiated petroleum contracts: A literature review of JVCs development, concept and elements. Geo. J. Int’l Law: The Summit, 1, 645-667. Boyarko, G.Y. & Zolotenkov, Y.V. (2015). On improving the management of the development of trans-boundary mineral deposits. Gorniy Journal, 11, 8-13. Carayannis E.G., Cherepovitsyn A.E. & Ilinova A.A. (2017). Sustainable development of the Russian Arctic zone energy shelf: The role of the quintuple innovation helix model. Journal of the Knowledge Economy, 8(2), 456-470. Cherepovitsyn, A.E., Moe, A. & Smirnova, N.V. (2016). Indian Development of trans-boundary hydrocarbon fields: Legal and economic aspects. J Sci Technol, 9(46), 10. Ilinova, A.A. & Cherepovitsyn, A.E. (2016). Assessment of the merits and demerits of the unitization agreements used in world practice in the development of oil and gas deposits. Economics and Entrepreneurship, 10-3(75-3), 697-700. Janusz-Pawletta, B. (2015). The legal status of the Caspian Sea: Current challenges and prospects for future development. New York: Springer.